So during the summer months I am usually ready and chomping at the bit to show what is flowering in my garden that particular month. 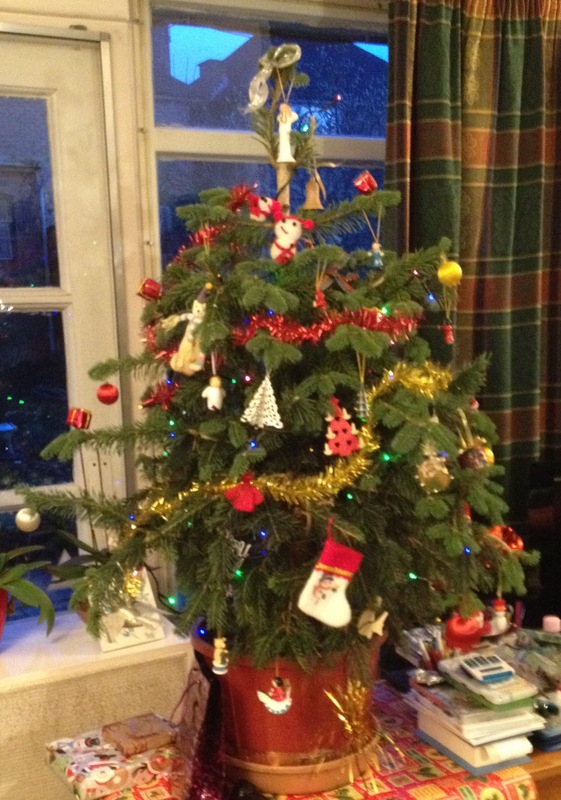 This month the garden is looking quite dead and nothing is flowering so I am using artistic license and showing my real Christmas tree that we’ve had outside in a pot since last year. December is a pretty quiet month garden wise although I’ve been tidying up a a bit and sadly had to dig up and dispose of about 5 of my favourite winter flowering plants- hellebores. They have been diseased for a while and this is the only way to deal with it. I probably won’t be blogging again this month so thank you to all my readers from all over the world. Wishing you a peaceful and happy Christmas and new year!